Red Hawk is a well-rounded holistic program with an intense clinical focus, program that facilitates living and growth in all areas of the young women we serve. – boarding schools for troubled youth and therapeutic boarding schools. Each week our girls experience numerous recreational activities. 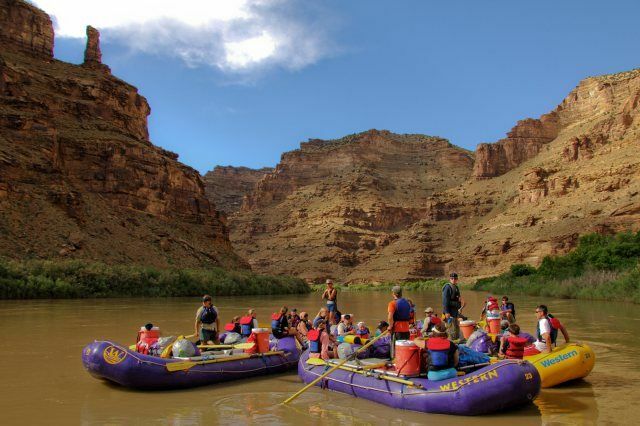 Adventures include horseback riding, hiking, swimming, kayaking, skiing, sledding and service projects. Our students regularly attend local cultural events and activities. Our therapists attend weekly recreational activities to ensure therapy doesn’t stop at the office door. The youth are able learn integral skills in each part of their stay at Red Hawk Behavioral Health. All of the recreation activities in our program are hand picked specifically to teach skills to help with independence, life skills, teamwork, and problem-solving. Activities are planned and executed to compliment therapeutic objectives the girls are working on in their program. We are perfectly situated for many types of outdoor recreational activities. 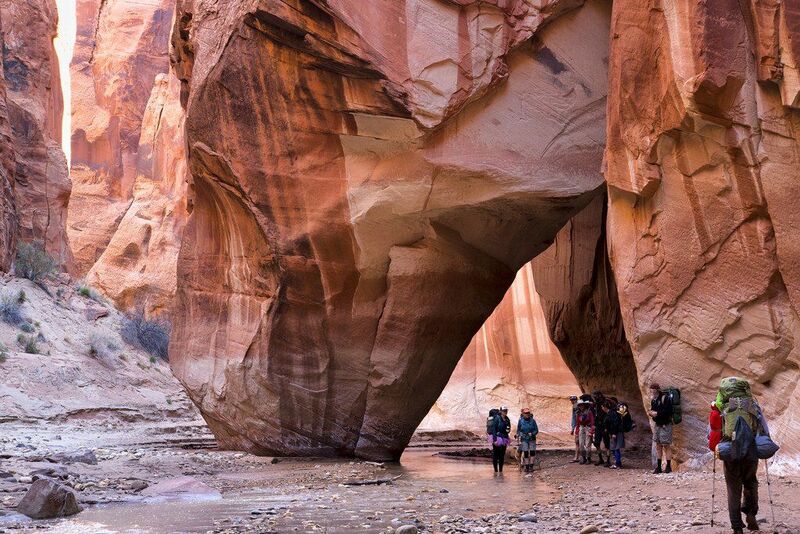 Our students are within an quick driving distance to numerous National Parks including Zion, the Grand Canyon, Bryce Canyon, Arches, Capitol Reef, Kanaraville Falls, and Cedar Breaks National Monument. There are countless horse trails, lakes for kayaking, deserts to explore and mountains to hike. Staying active and participating in lots of recreation is necessary to balance the focused therapy that students participate in each day. 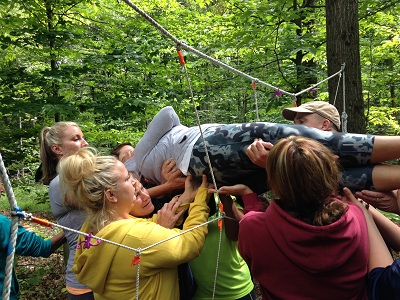 Ropes challenge courses can be seen as the ultimate group or team challenge. Ropes courses are a combination of both vertical challenges and horizontal challenges, constructed from wood and ropes installed above the ground and strung between large wood telephone poles. The ropes used are large, thick and sturdy allowing the young women to walk across during various exercises. Low ropes courses are always directed by two Red Hawk staff and supervised by a licensed clinician. All young women use full ropes course safety equipment at all times while in session. When the girls are on the ropes course there is great opportunity for them to learn about positive risk taking, their own perceived limits, how they perform under pressure, how they give and receive support from other people, and how working with others collaboratively can help them achieve more than they thought they could accomplish. Ropes courses at Red Hawk can be tailored for use with a wide variety of struggling behaviors or mental health challenges. Our team can adjust to different populations of teen girls and accommodate a wide spectrum of individual dynamics. 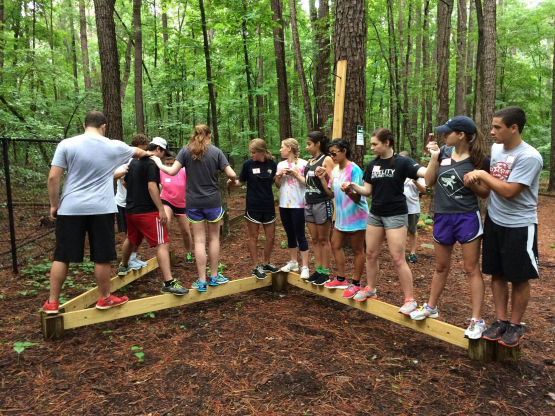 Ample progress has been seen in youth when they engage in ropes course activities. The Red Hawk horseback riding program is delivered by two sisters that are part of our team – Valerie and Melanie. They were both taught by their cowboy father Kenny Stewart. Both are EAGALA certified instructors- an evidenced base method to facilitate equine assisted therapy. As horse back riding is not part of the EAGALA model, we have incorporated riding as an additional therapeutic activity for the girls to involve in their treatment. Each time a young woman can get on a horse, her self-confidence and trust increases. Teens learn how to control and redirect their anger because they have a stake in the outcome, they do not want to upset or hurt a horse they have come to care about! The innocence of the horse reinforces the need for teenagers to identify other ways to express their emotions to achieve positive, productive results. When a teenager encounters a horse’s behavior that confuses them, they must learn how to put themselves in another’s place and try to figure out what the horse is experiencing and then find the most efficient way to proceed. With horseback riding, approaching, interacting, and mounting a horse forces a person to confront any fear and insecurities they may have. Teens will learn how to overcome their fear, how to remain calm, and how to move forward with positive feelings despite any underlying lack of confidence. These dynamic will in turn help them build their self confidence. They will also discover the exhilaration of horseback riding, especially if fear has prevented participation in physical activities in the past. The ability to remain calm and complete a task regardless of self-doubt and fear is an extremely empowering experience. Once a teenager gains insight into how to effectively work with a horse, she will become the leader. 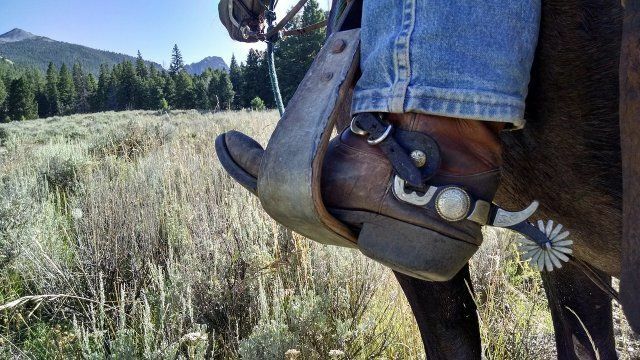 Learning how to care for and ride a horse increases the bond between the rider and horse. The more consistent the teenager is, the more attentive and cooperative the horse becomes. In this way, teenagers learn life skills, such as effective and positive communication, trust, and how to control their anger and frustration. Should you need help finding schools for troubled teens, Christian boarding schools, affordable boarding schools or troubled teen boarding schools, please let us know. Red Hawk specializes in counseling for troubled teens and out of control teens and especially work with Oppositional defiance(ODD), Depression/Anxiety, RAD girls and adopted girls with emotional disorders. If you are searching for residential treatment centers for difficult girls, troubled youth homes, troubled teen therapy or therapeutic boarding schools, you have found one. As a top therapeutic boarding school, Red Hawk Behavioral Health may also be considered a “school for troubled teens”. Red Hawk Behavioral Health’s all-girl school provides troubled pre-teen and teenage girls with counseling and adolescent therapy. The therapeutic residential school and home for troubled girls serves at-risk teen girls from homes in Arizona, Utah, Nevada, New Mexico, and California, in the Southwest, and Oregon, Idaho, Washington State and Montana in the Pacific Northwest and Northern States.